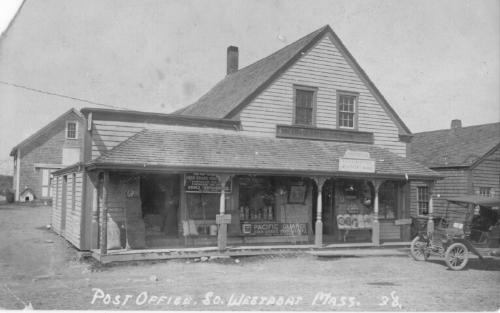 The Post Office and General Store in the village of South Westport was a general meeting and greeting place. Clarence R. “Bert” Macomber managed the post office and general store until the store closed, remaining as postmaster until mid-1960s. The village of South Westport, at the intersection of Pine Hill, Hixbridge, and Horseneck Roads, also had a Christian Church and an elementary school.